Great quality biothane halter bridle with side bit snaps. This style bridle has bit snaps on the side of the halter. To remove or replace the bit, simply unsnap it from the halter. 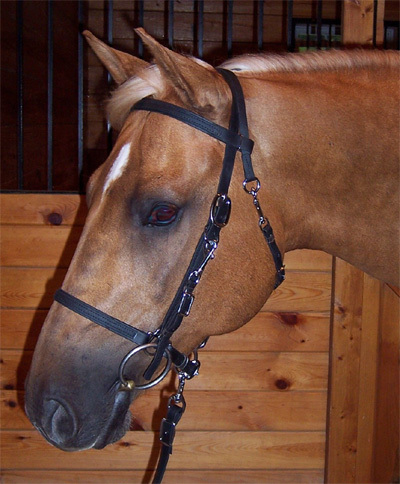 Changing from bridle to halter is quick and easy.